Thank you for choosing to visit my website. I encourage you, at your leisure, to explore my writing and my blog. Please, also take the time to sign my guest book. You, my guest and potential reader, are very important to me and my anticipation is that you will find the experience worth your time. Please bookmark my site and stop by often! I will do my very best to update my blog at least monthly to keep you apprised of my musings and writing endeavors. From time to time, I will also ask you to preview a sample of my writing that I would particularly like feed-back on. 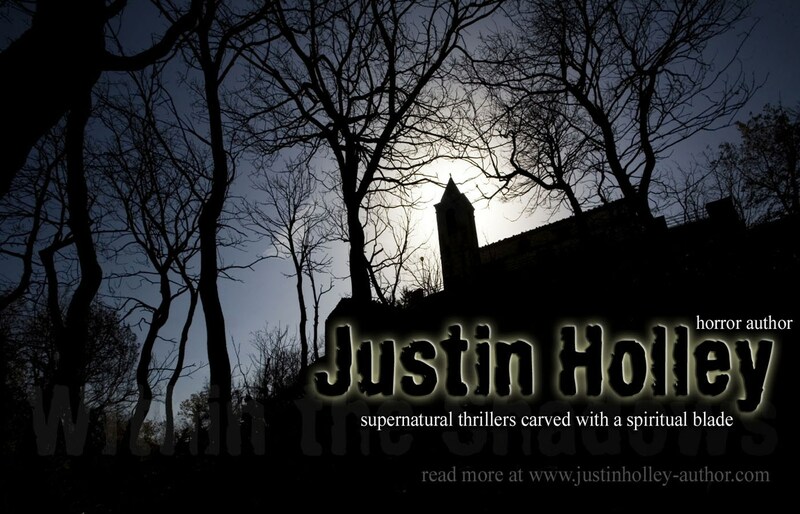 As my career and readership grows, so shall my website! My sincere hope is that those of you who relish the horror genre will find your fill in these humble pages. 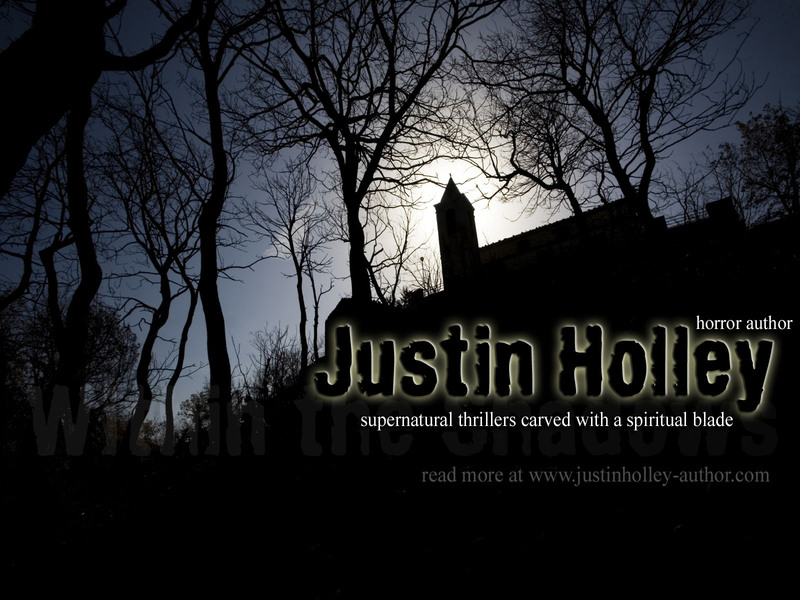 Feedback, of any variety, is quite welcome: justin@justinholley-author.com. 1. Choose the size picture that works best with your monitor settings. 2. Right click on the link for that image. 3. Select "Set as Wallpaper (or Background, Desktop, etc.)" *Please note that you may download as many of these pictures as many times as you like, as long as they are only used as computer wallpaper, backgrounds, or desktops, and not for any other use, public or private. Thank you! Read the interview with Justin at Choateroad where he talks about his writing and his latest projects in the works.